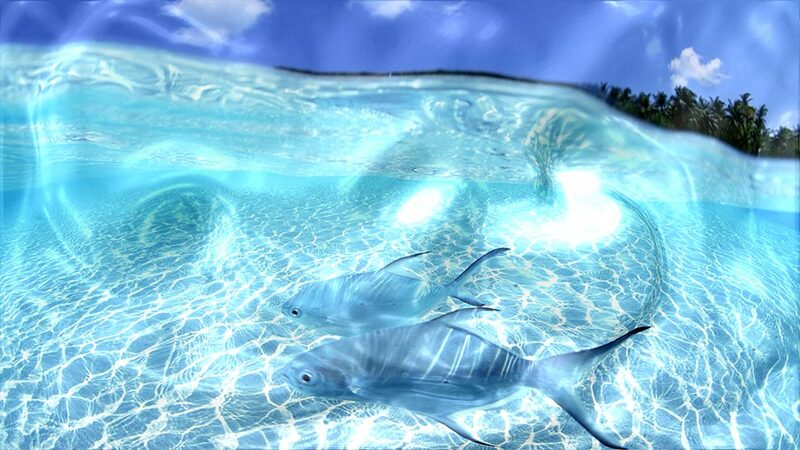 Watery Desktop 3D will animate your wallpaper with water effects. 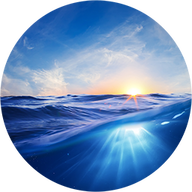 Watery Desktop 3D Live Wallpaper and Screensaver was available as a giveaway on January 7, 2017! 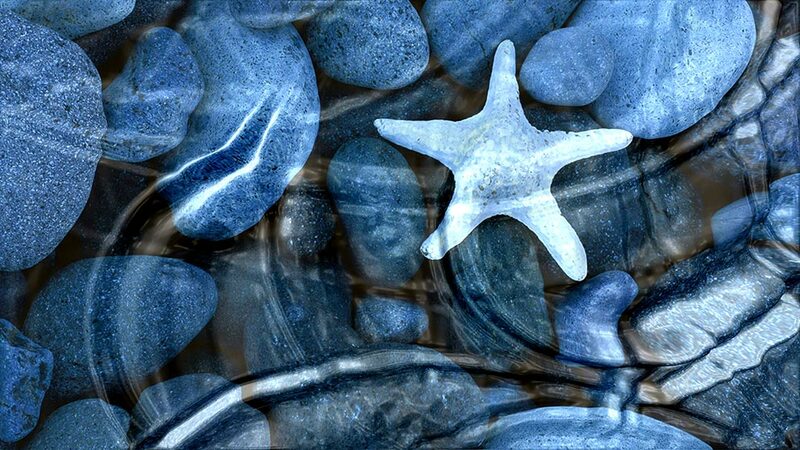 Watery Desktop 3D will animate your wallpaper with water effects, such as waves and rain. It will also work as a screensaver which floods your screen, you'll see how everything on your desktop will sink into water. 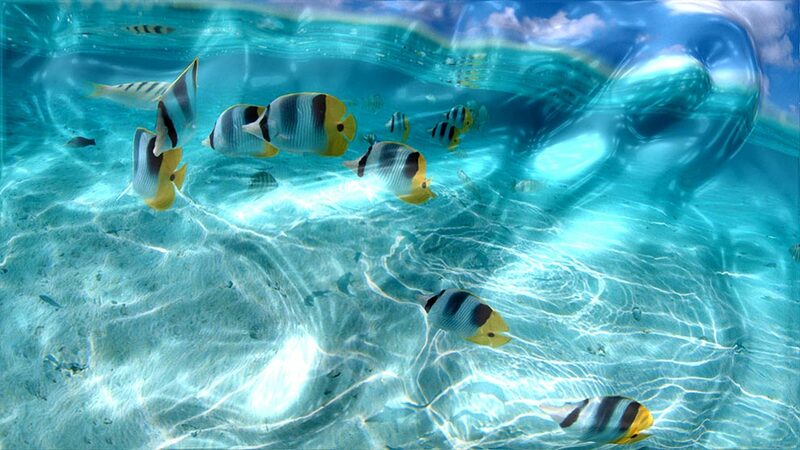 How would you improve Watery Desktop 3D Live Wallpaper and Screensaver? 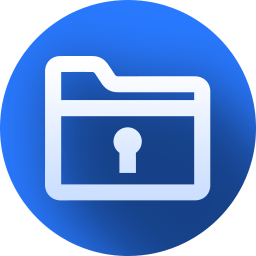 No easy-to-find developer's address: I didn't find it in its homepage and I didn't find it through the first three whois web services found with google search. No problems detected after doing scans with the tools present in my machine (I won't repeat them because I didn't change them). Web services (virustotal, metadefender, jotti, virscan) found the usual false positives for GAOTD setup.exe. No problems also after doing scans post-installation (with the same tools). - I couldn't select the installation folder. 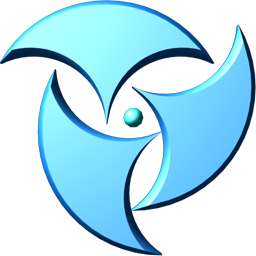 - When I first installed this software, I tried the screensaver preview and settings (in the usual screensaver window, in Control Panel\Appearance and Personalisation\Personalisation) and they didn't work. After a reinstall, they worked. - Pictures (in developer webpage and in this gaotd webpage) show fish, jellyfish, starfish, dolphins, turtles, but I can't see them. Should those animals appear when the program is enabled? Are those pictures in the background only wallpapers? If those pictures are wallpapers, it should be specified in the program webpage. Do they not appear because I set DEP to always on? - Windows 10 home/standard x64, DEP always on, custom scaling 150%. - Resolution 1920x1080, color depth 32bit, refresh rate 60Hz. Thanks Push Entertainment and GAOTD team! Hi everybody. :-) No easy-to-find developer's address: I didn't find it in its homepage and I didn't find it through the first three whois web services found with google search. <b>No problems</b> during download. <b>No problems</b> detected after doing scans with the tools present in my machine (I won't repeat them because I didn't change them). Web services (virustotal, metadefender, jotti, virscan) found the usual false positives for GAOTD setup.exe. <b>No problems</b> during installation. <b>No problems</b> also after doing scans post-installation (with the same tools). What I didn't like: - <b>I couldn't select the installation folder</b>. - When I first installed this software, I tried the <b>screensaver preview and settings</b> (in the usual screensaver window, in Control Panel\Appearance and Personalisation\Personalisation) and they <b>didn't work</b>. After a reinstall, they worked. 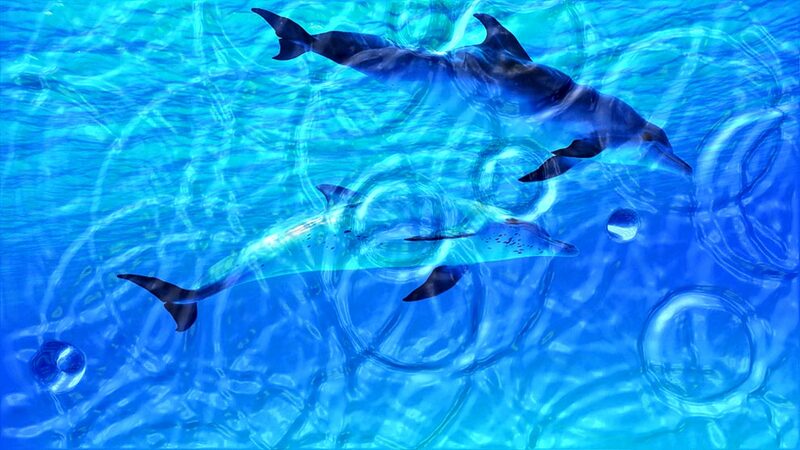 - Pictures (in developer webpage and in this gaotd webpage) show fish, jellyfish, starfish, dolphins, turtles, but <b>I can't see them</B>. Should those animals appear when the program is enabled? Are those pictures in the background only wallpapers? <u>If those pictures are wallpapers, it should be specified in the program webpage</u>. Do they not appear because I set DEP to always on? I'm using: - Windows 10 home/standard x64, DEP always on, custom scaling 150%. - Resolution 1920x1080, color depth 32bit, refresh rate 60Hz. Thanks Push Entertainment and GAOTD team! Did anyone else try to submit improvement ideas to the developer? I tried the link, but there was no option to leave feedback, so I put it in the comments section. It works, just start to write (a title or a short description) in the I would like to... entry, then click share your idea and describe your idea in the bigger area that should appear. Idea informer moderators must approve ideas before they are published. Hi jamesg.123. :-) It works, just start to write (a title or a short description) in the <b>I would like to...<b> entry, then click <b>share your idea</b> and describe your idea in the bigger area that should appear. Idea informer moderators <b>must approve</b> ideas before they are published. Installed fine on Win7 SP1 Professional 64 Bit. Include sliders that allow the user to set both the intensity and speed of the effects. Even the mildest effects were too intense for me to leave running while I work, but a lighter, slower version that I could customize to suit my mood would be great. With Sliders, you could also cut the number of variation types (rain, wave, etc.) down to two or three. As it is, having so many options that are essentially the same thing is pretty confusing. Installed fine on Win7 SP1 Professional 64 Bit. I have a suggestion for the developer: Include sliders that allow the user to set both the intensity and speed of the effects. Even the mildest effects were too intense for me to leave running while I work, but a lighter, slower version that I could customize to suit my mood would be great. With Sliders, you could also cut the number of variation types (rain, wave, etc.) down to two or three. As it is, having so many options that are essentially the same thing is pretty confusing. I have the same problem as described Gregn357. Windows 7 SP1 32-bit (KB2670838) Platform Update has been installed on my computer. The screen saver for me to run in the task manager, but I can not view any of the settings will not open anything, nor the lightning view, you can not run, even though I'm waiting up to much, nothing happens, and run the program, but does not show what it should be. I'm sorry if what I wrote is difficult to understand, but I am Hungarian, unfortunately I do not speak English. I have the same problem as described Gregn357. Windows 7 SP1 32-bit (KB2670838) Platform Update has been installed on my computer. The screen saver for me to run in the task manager, but I can not view any of the settings will not open anything, nor the lightning view, you can not run, even though I'm waiting up to much, nothing happens, and run the program, but does not show what it should be. I'm sorry if what I wrote is difficult to understand, but I am Hungarian, unfortunately I do not speak English. Installed, activated, but doesnt work. Win7 SP1 32 bit. Correct winUpdate installed. Wont start, wont show preview, if there is a settings menu, wont display. Shows to be running in task manager, but nothing happens. Uninstalled, reinstalled same results. Uninstalled unless or until someone can tell me how to make it work. Sounds like an interesting screensaver that I would like to try out. Anyone have any ideas? ouialaraison, thank you for your help. As I mentioned above in my first sentence, I have KB2670838 installed already. Installed on win 10, very quick installation. This is a cool little screen saver program that will remain right where its at. Lovely,simple,pleasant to look at. Installed on win 10, very quick installation. This is a cool little screen saver program that will remain right where its at. Lovely,simple,pleasant to look at. Thank you. Installed in just seconds (Win 7, 64-bit). Very cool effect! I don't know yet whether or not it uses up too many resources, but so far, so good. Thanks, GAOTD and PUSH. The graphics are lovely, but I have to find the right setting so it does not start until the computer is idle for a set period of time. Right now I see it running (intermittently) on the desktop even while I am typing. Otherwise, nicely done. I can't remember the last time that I downloaded a screensaver. 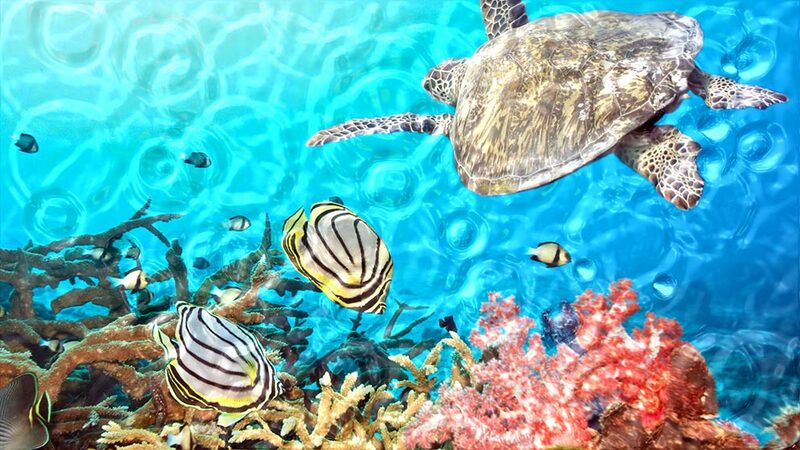 The only other screensaver I own is Marine Aquarium by SereneScreen, which I still run from time to time, because it is just so beautiful to look at. As Antonio posted (#3), it is surprising that this wonderful 3D screensaver consumes very little memory, 24.3 MB for me. Also includes a nice assortment of water effects. if you have the right wallpaper, it looks fantastic. Thank you GOTD Team and PUSH Entertainment, this will be a keeper for me. I can't remember the last time that I downloaded a screensaver. 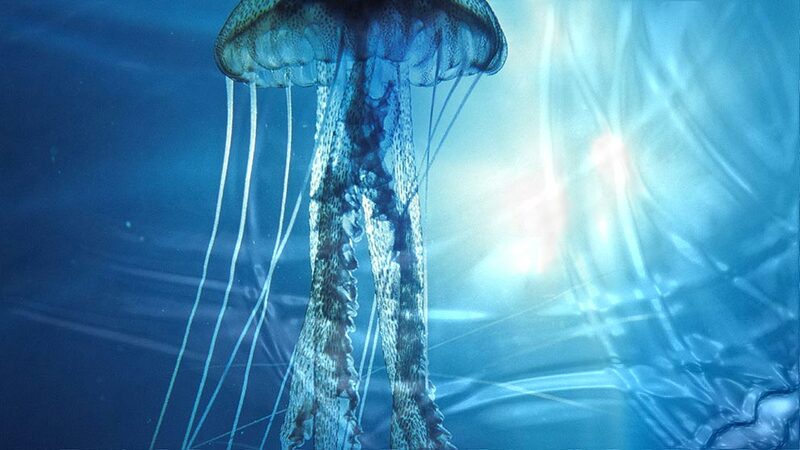 The only other screensaver I own is Marine Aquarium by SereneScreen, which I still run from time to time, because it is just so beautiful to look at. As Antonio posted (#3), it is surprising that this wonderful 3D screensaver consumes very little memory, 24.3 MB for me. Also includes a nice assortment of water effects. if you have the right wallpaper, it looks fantastic. Thank you GOTD Team and PUSH Entertainment, this will be a keeper for me. how about including some really cool sea life desktop backgrounds to go with this ? I downloaded and installed this progran without any problems with my win10 64 bit. It creates a good-on-the eye watery effect on the existing wall paper and doesn't change the picture(s) itself. I downloaded and installed this progran without any problems with my win10 64 bit. It creates a good-on-the eye watery effect on the existing wall paper and doesn't change the picture(s) itself. The graphics processor [GPU], depending on make & model, *may* do more than display what you see on screen. It may help with video encoding &/or decoding [playback], & usually has at least some support for parts of Direct X & *maybe* OpenGL [Vulkan], & often supports OpenCL [commonly used for non display related tasks]. Oversimplified, you might think of the Direct X & OpenGL/Vulkan end of things as sort of shortcuts -- instead of the CPU doing all sorts of long & slow calculations, the GPU is told basically to draw this, there. The problem or gotcha is that the graphics hardware may not be able to do everything that's asked of it, or it isn't powerful enough to do whatever fast enough. Watery Desktop 3D Live Wallpaper and Screensaver uses those sorts of commands [what I just called shortcuts] to calculate & display the FX, so as not to slow down the PC or laptop, which you can still use normally. If the graphics hardware capabilities aren't there, e.g. in my Windows 7 VM, the wallpaper &/or screensaver just fails. With mid-range to high end games, it's most often the graphics hardware that determines if the game is playable, how well, & with how many optional display features turned on. And the more you pay for graphics hardware, the more capabilities & performance you get. While every year sees improvements, GPUs that are part of the CPU package aren't generally all that powerful, & don't have anywhere near the capabilities of a $100-$200 [or more] add-on graphics card. Do note however that if you have a separate graphics card in your PC, it costs you to use it. When it's in a power-saving mode, like just reading this in your browser, it's using a minimal amount of electricity, & producing less heat. Using it to display animated wallpaper, or a DX screensaver, or gaming causes it to jump out of any power--saving mode, meaning more electrical watts used, more heat, & likely more fan noise to get rid of some of that heat. It's not a big deal -- you got the card to use it -- but if I'm not using this PC to do anything, & I'm away from my desk [so I'm not watching whatever screensaver], I figure I might as well save the electricity, and so don't have a screensaver like this running. With built-in graphics, e.g. my mini-PC, that's not much of an issue -- it's the more powerful add--on card in this PC that consumes much more power. If it helps at all... maybe why today's GOTD won't work for everyone... The graphics processor [GPU], depending on make & model, *may* do more than display what you see on screen. It may help with video encoding &/or decoding [playback], & usually has at least some support for parts of Direct X & *maybe* OpenGL [Vulkan], & often supports OpenCL [commonly used for non display related tasks]. Oversimplified, you might think of the Direct X & OpenGL/Vulkan end of things as sort of shortcuts -- instead of the CPU doing all sorts of long & slow calculations, the GPU is told basically to draw this, there. The problem or gotcha is that the graphics hardware may not be able to do everything that's asked of it, or it isn't powerful enough to do whatever fast enough. 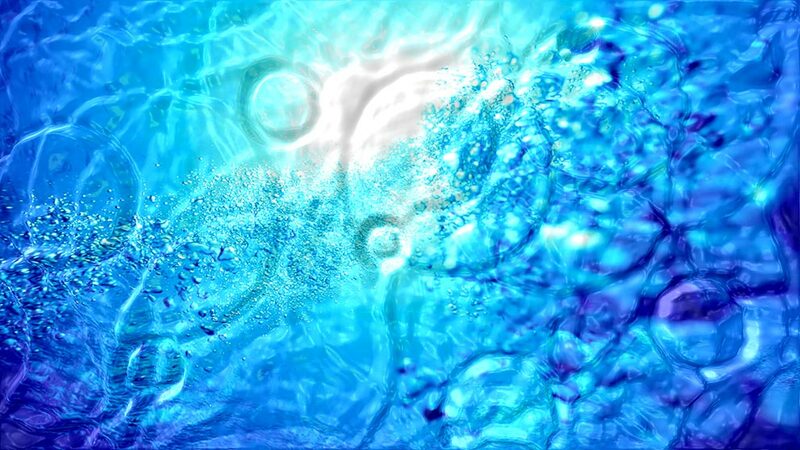 Watery Desktop 3D Live Wallpaper and Screensaver uses those sorts of commands [what I just called shortcuts] to calculate & display the FX, so as not to slow down the PC or laptop, which you can still use normally. If the graphics hardware capabilities aren't there, e.g. in my Windows 7 VM, the wallpaper &/or screensaver just fails. With mid-range to high end games, it's most often the graphics hardware that determines if the game is playable, how well, & with how many optional display features turned on. And the more you pay for graphics hardware, the more capabilities & performance you get. While every year sees improvements, GPUs that are part of the CPU package aren't generally all that powerful, & don't have anywhere near the capabilities of a $100-$200 [or more] add-on graphics card. A gaming laptop won't usually have separate graphics hardware [like a graphics card in a PC], but basically the same components are added to the main board. When those added components are relatively marginal, &/or to save battery life, the added GPU & the built-in GPU may work together. And those systems are the ones that allegedly had fits with the Microsoft update KB2670838. support[.]microsoft[. ]com/en-us/kb/2670838 Do note however that if you have a separate graphics card in your PC, it costs you to use it. When it's in a power-saving mode, like just reading this in your browser, it's using a minimal amount of electricity, & producing less heat. Using it to display animated wallpaper, or a DX screensaver, or gaming causes it to jump out of any power--saving mode, meaning more electrical watts used, more heat, & likely more fan noise to get rid of some of that heat. It's not a big deal -- you got the card to use it -- but if I'm not using this PC to do anything, & I'm away from my desk [so I'm not watching whatever screensaver], I figure I might as well save the electricity, and so don't have a screensaver like this running. With built-in graphics, e.g. my mini-PC, that's not much of an issue -- it's the more powerful add--on card in this PC that consumes much more power. Great Salute to the developer of this Fantastic 3D Live Wallpaper and Screensaver. Really I am not the big fan of downloading and installing screensaver but when I saw the Outcome from this live wallpaper and screensaver then I feel hypnotized. I will keep it and thanks to GOTD for this cute and good piece of software. So i have a question before i download this. Do i have to share this on Facebook in order to download it? I deactivated my facebook over a year ago. just ask for a link by mail. Randy Baker, just ask for a link by mail. I tried to install this program and received an error message "Your computer does not support this program". I am running Win 7 SP1 64bit. The first screensaver I've tried and will keep! Can't install it (under win 8.1)! Messages : "The setup files are corrupted. Please obtain a new copy os the program" followed by "activate successfully"
Can't install it (under win 8.1)! Messages : "The setup files are corrupted. Please obtain a new copy os the program" followed by "activate successfully"
Belga, start your system in safely mode and then run setup file. The problem is probably caused by some antyvirus or antimalware software installed on your computer. Belga, Maybe the AV is the cause of the problem. Or an older GOTD-setup has leftover's and disturb the installation. Try to use cCleaner to clean Windows, restart Windows and try again. Belga, Maybe the AV is the cause of the problem. Or an older GOTD-setup has leftover's and disturb the installation. Try to use cCleaner to clean Windows, restart Windows and try again. Ootje, I use regularly Ccleaner + no reaction of the antivirus... maybe the leftover's then ! I'll see in this direction.. thanks anyway ! Ootje, I use regularly Ccleaner + no reaction of the antivirus... maybe the leftover's then ! I'll see in this direction.. thanks anyway ! Belga, why don't you just try running setup in safe mode? I used to have the same problem under Windows 7, now I can't run giveaway of the day setup files under Windows 10, all because of antivirus software, even if I disable it. I found out that only safe mode solves the problem. what's with this REQUiRED Windows 7 SP1 with Platform Update (KB2670838) Microsoft Update? A web search using the ubiquitous search engine: appears to suggest that this Update is either, an EViL UPDATE, or causes Blue Screen Of Death, or can't be installed without hassles. Peter C1, That update gives Windows 7 a lot of the whizzier graphics features of more recent Windows versions, so if someone is using those features then they either need to write their code differently for Win7, not support it, or require the extra libraries. It's just newer graphics features, although it did cause issues for some people, especially if they had old graphics drivers as previously undiscovered bugs could come out. It's not evil, or spyware, or a privacy violation, but it does have some risk of issues as it's providing features the O/S didn't have before (so having the latest driver for your graphics would be a good first step). It's much more about supporting games better than IE10. Peter C1, That update gives Windows 7 a lot of the whizzier graphics features of more recent Windows versions, so if someone is using those features then they either need to write their code differently for Win7, not support it, or require the extra libraries. https://support.microsoft.com/en-us/kb/2670838 It's just newer graphics features, although it did cause issues for some people, especially if they had old graphics drivers as previously undiscovered bugs could come out. It's not evil, or spyware, or a privacy violation, but it does have some risk of issues as it's providing features the O/S didn't have before (so having the latest driver for your graphics would be a good first step). It's much more about supporting games better than IE10. System Requirements: Windows 7 SP1 with Platform Update (KB2670838) ... What !? This thing is really nice to the processor, live wallpaper CPU usage is about 1.5% on my machine. My OS is Windows 10, Does it work? James Kim, it works on my Windows 10.